Professors John Roach and Andrew Shea launched Sound the Mound in 2016 in the Transdisciplinary Design Program at Parsons School of Design. The project continues to evolve through a series of courses in the School of Design Strategies at Parsons, combining both scientific discovery and artistic creation while bridging the gap through educational outreach across schools. John Roach, Andrew Shea, and their team at Parsons is working with Gaynor McCown High School in Staten Island, minutes from Freshkills Park, to develop a STEAM (Science, Technology, Engineering, Art, and Math) learning curriculum that focuses on the waste that can result from our consumerist habits, urban ecology, and design as a teaching tool and learning objective. 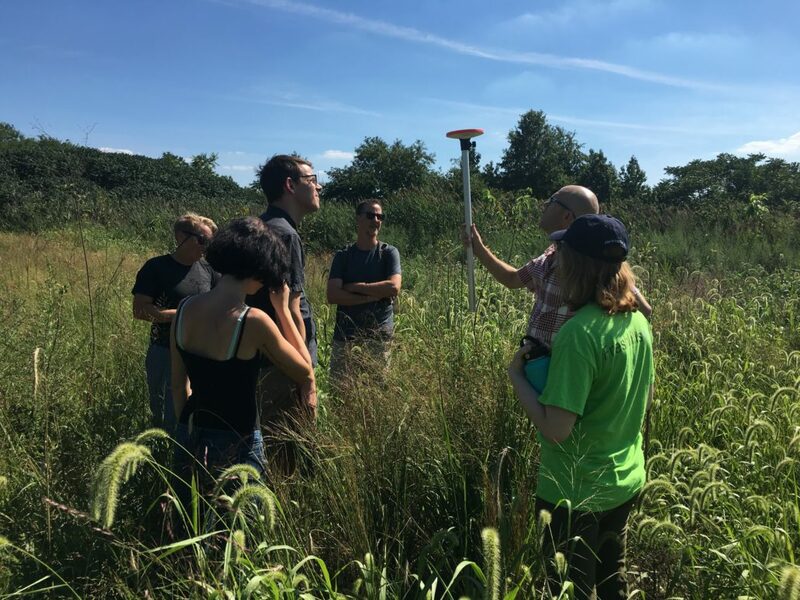 The partnership with Living Environment science instructors includes hands-on workshops that leverage art and design to enhance students’ understanding of the way that their actions can contribute to a healthier planet. Botanical Transmissions proposes to generate music by plants, for plants. This project was created to explore the potential of plant-centered design and prompt dialogue about climate change and our collective responsibility to respond. Inspired by studies indicating that music may impact plant growth, this project creates a sensory experience primarily for plant life and serves as a symbolic repentance from humans who have misused the area in the past. 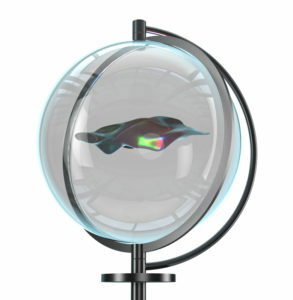 Botanical Transmissions would take ecological data from an Arable Mark Pod and translate it into a musical composition. This would be done with a genetic algorithm that automatically evolves five different traits based on the plants’ relative health after “listening” to different compositions. 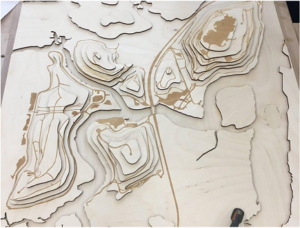 This project intends to provoke conversation about the history of Freshkills Park, the Anthropocene, and how design might be used for more critical applications. Vitality Rhythm proposes a sensory experience meant for perceiving the vibes of nature. 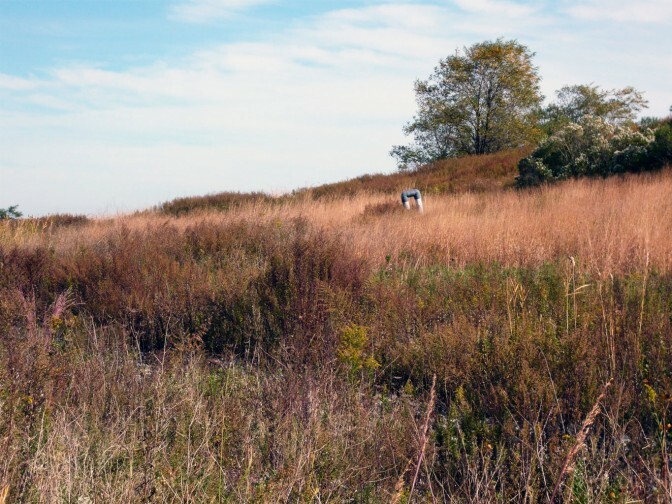 It would give people at Freshkills Park the opportunity to form an empathetic and emotional connection with the landscape. Vitality Rhythm involves an exhibit named Eve, an egg-shaped living entity made from the soil of Freshkills Park, nursed in a cradle-like environment. As she grows, an Arable Mark Pod would sense new sprouts and the vigor of growing plants, transforming them into a heartbeat. When people see Eve at Freshkills, they might resonate with her vital signs – and begin to care for her. This project aims to open a dialogue in the hopes of creating a critical conversation between humans and nature. The Trashglobe proposal uses the familiar form of a snow globe to visualize the current state of Freshkills Park. However, instead of snow, a plastic bag floats around inside the globe, a memory of the Park’s buried history. 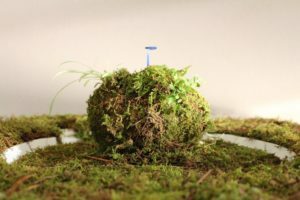 Designed to be installed at Freshkills Park, the globe would project the current state of the park onto that bag by using plant data from the Arable sensor and colored LED lights. These LED lights represent the red, blue, and green light that is being reflected by the plants within the Arable’s radius. The colors of these lights on the plastic bag will evoke an ‘aurora borealis’-like experience of plant health, using different time scales ranging from days, to weeks, to seasons, to show the park’s change over time. The Trashglobe functions as a visual representation of numeric data that can ignite conversations about the plants in the park, as well as the history of the park as a landfill, and the personal consumption patterns of visitors. What Sound is Green: An Interactive Sound Map is a sensorial project that focuses on the opportunity to engage with a technology that extends human senses. 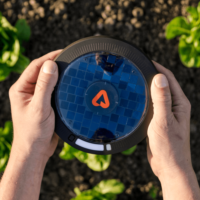 The Arable Mark provides the opportunity to engage multiple senses by remotely experiencing a sampling of plant growth and meteorological conditions on the island. The tabletop model is portable for use in exhibition and educational settings. The sonic and projection components can be scaled up to larger venues, and data from the Arable Mark can be shared with artists for proposals that can change the sonic and visual content over time. Sound the Mound seeks to unpack the constant rotation of cultural and environmental aesthetics with guiding questions. What does sustainability look like? How does change feel? What sound is green? 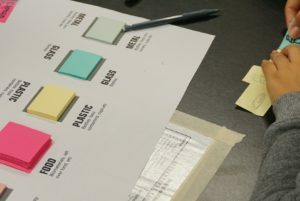 Ultimately, the designers and artists involved seek to connect sustainability concerns and explore new approaches to changing consumer behavior. The next iteration is developing an exhibition for galleries at Parsons to culminate with the public opening of North Park. The exhibition and correlated catalog will explore the intersection of technology, education, consumption, waste, and climate.